Sometimes you may feel you need a good lift. These products will help to invigorate your senses so that you feel refreshed and energised.....like new! Need a 'boost'? 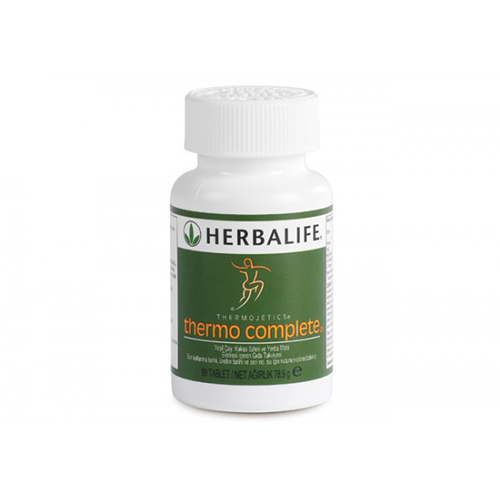 This advanced formula includes a potent blend of herbs and nutrients designed to support the weight management process. The ingredients work synergistically and naturally to help you feel invigorated and better able to cope with the daily challenges associated with dieting. More info on Thermo complete. Enjoy these uplifting qualities, captured in our NRG Beverage. Feel the benefit of 100% pure organically grown Guarana. It is easily absorbed by the body and gets to work quickly, providing a slow, sustained release for up to six hours! Guarana seeds contain multiple qhytochemicals, healthful saponins, energising xanthines, regulating tannins. Other maker's of Guarana products frequently add caffeine. With NO-ADDED caffeine*, our product is gentler on your body. 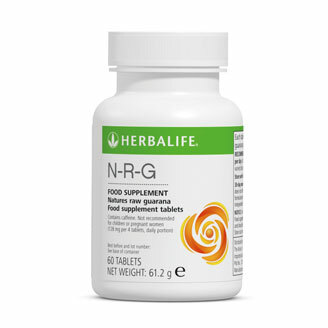 *NRG Beverage contain naturally-occurring caffeine. Liftoff® is a unique effervescent energy drink. With its exclusive energising blend of taurine, guarana and caffeine, it will shift your body into high gear! No added sugar and low in calories! Contains caffeine to help you stay awake, refreshed and alert. Helps you stay focused for improved concentration. Enriched with B-Vitamins for energy production, and Vitamin C.
Convenient, pocket-size packets, ideal for carrying around when you're on the go. Cell Activator capsules are a source of key B vitamins that can help to convert food to energy. Cell Activator also helps support energy metabolism and production; this is essential whether on a weight management programme or as part of a busy, active or sporty lifestyle. Contains the essential trace mineral copper to support energy production. B vitamins are essential for energy metabolism and production by helping to release energy from the foods we consume. Because B vitamins are water soluble, they are not stored by the body, so it is important to ensure your body receives the daily required intake either through increased consumption of vitamin B rich foods, or supplementation. This is particularly important if you areon a weight management programme or lead an active or sporty lifestyle. 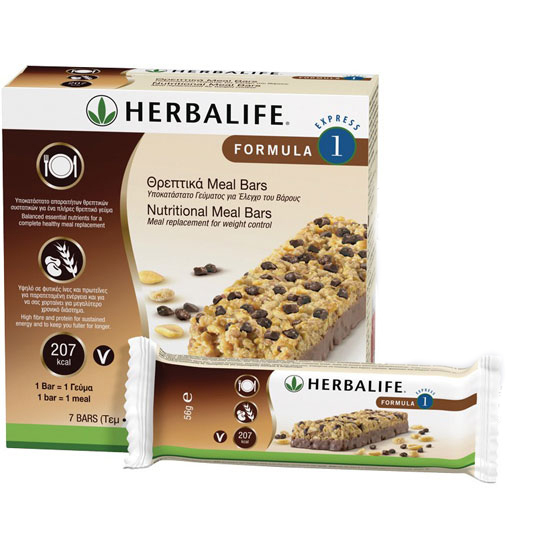 Formula 1 Express Healthy Meal Bar (Box of 7). Balanced essential nutrients for a complete healthy meal replacement. Soy Protein and plant based carbohydrates for sustained energy and to keep you fuller for longer. All the nutrients needed with 207kcal. Two flavours: Chocolate chip or Red Berries & Yoghurt. Low GI. Convenient and portable. Click here for more info. *This product is intended for use as part of an energy restricted diet and with other foodstuffs, in conjunction with regular physical activity. Disclaimer: No medical claims of any nature are made or intended in any of the stories submitted. The experiences of the parties concerned are their own personal experiences and the results obtained are due to the body receiving complete and properly absorbed nutrition on a daily basis. No guarantee is given or implied that you will experience the same results, as this depends on your adherence to the program. All nutritional programs are used with a calorie-controlled intake.� Copyright 2002 - 2009 All rights reserved by the Copyright Holder, Coronet, RSA Authorised for use in South Africa only. "The name and address of the promoter is: Herbalife International South Africa Ltd. Stand 17, Janadel Avenue, Riverview Park, Bekker Road Extension, Midrand, Gauteng, 1685, SA. The goods, which are sold under this system, are nutrition and personal care products. Transactions are effected by participants.